The Express and Star reports that a UKIP candidate who claimed on Facebook that Islam was an “evil cult” and that European integration was a form of “genocide” has been banned from standing for the party in the Black Country. Despite his comments, he was selected to stand as a UKIP candidate for the Sandwell Council ward of Newton in a by-election. It later emerged that he had posted a passage from a far right blog on his Facebook page, stating “European integration amounts to genocide”. At the time the Facebook post was discovered, Mr Latham claimed not to remember where it had come from. 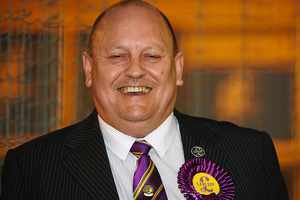 However, according to leaked minutes from a Sandwell UKIP branch meeting, the party’s national chairman Steve Crowther asked the party to bar Latham from standing in any elections again. The minutes reveal that UKIP also lost a “major local donor” as a result. The minutes reveal how Mr Crowther had informed Mr Latham that following a second negative national newspaper spread about his Facebook comments his campaign was “dead in the water” from that point on and party support had been withdrawn. The comments also led to Mr Latham being dropped from driving a coach on National Express routes, where he was contracted to the company by a third party.